The Sports Zone is part of Bridgwater & Taunton College, and its facilities are available across its campuses in Bridgwater, Taunton and Cannington. We're certainly not your typical run-of-the-mill sports centre - our facilities include a golf course, equestrian centre, state-of-the-art gym, outdoor pitches, dance studio, studio cycling room and much, much more! As well as providing a valuable resource to many of the students who come to Bridgwater & Taunton College, the Sports Zone is also available for public use, and many people from the community hire our facilities for their teams, clubs and groups, as well as becoming members of the gym and booking on our fitness classes and holiday clubs. 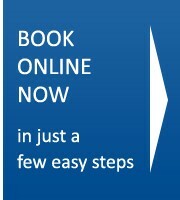 Please take a look around the website, and use the online booking facility to book and pay online. It couldn't be easier!